WISER - WISER Welcomes WenLan Zhang in our Visiting Scholars Program! My Portfolio > Article Archive > WISER Welcomes WenLan Zhang in our Visiting Scholars Program! WISER Welcomes WenLan Zhang in our Visiting Scholars Program! WISER is excited to welcome WenLan Zhang as a Preceptor in our Visiting Scholars Program! WenLan joins us from Shanghai Children�s Medical Center in China where she works as a nurse and educator in the Pediatric ICU. 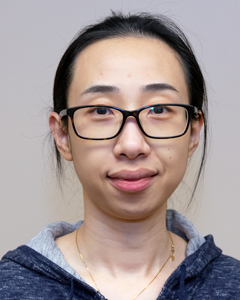 WenLan is also an AHA BLS Instructor, a member of the Nutrition Committee of SCMC, and a member of the Clinical Simulation-Based Education team of SCMC. WenLan will be spending 3 months gaining new insights on clinical simulation, debriefing, and how to control quality and evaluation. We are happy to welcome WenLan Zhang and look forward to helping her accomplish her objectives!